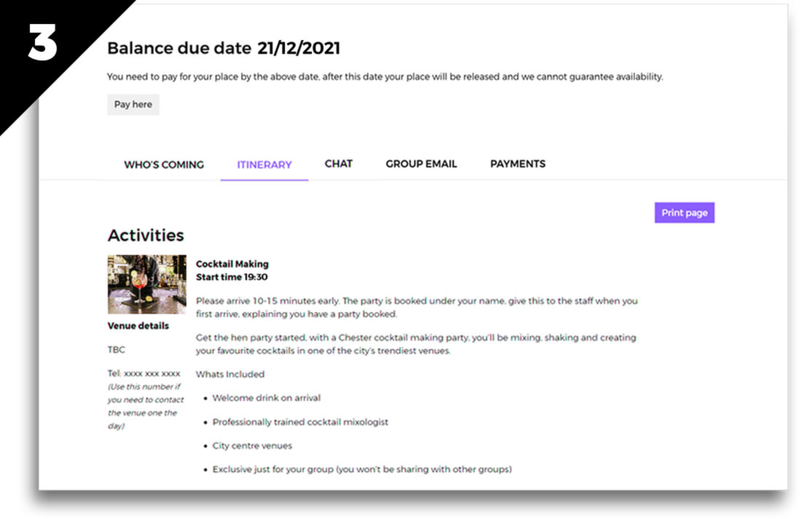 We offer the easiest and most comprehensive booking system on the web. Take the hassle out of confirming peoples attendance and collecting money with our VIP Events Area. Hassle free organising - fully online! 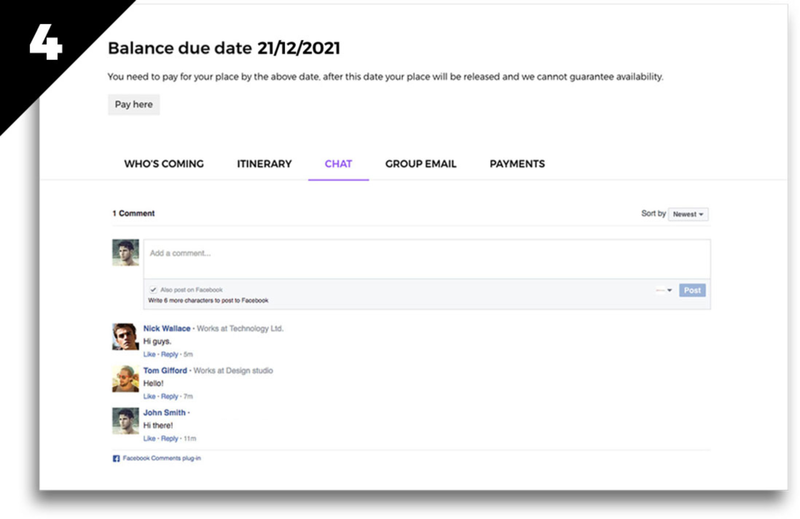 Send out invites, confirm attendance, individual payments, countdown clock, group emails, instant chat, & 24hr access. Attend multiple events and have access to them all secure and safe. 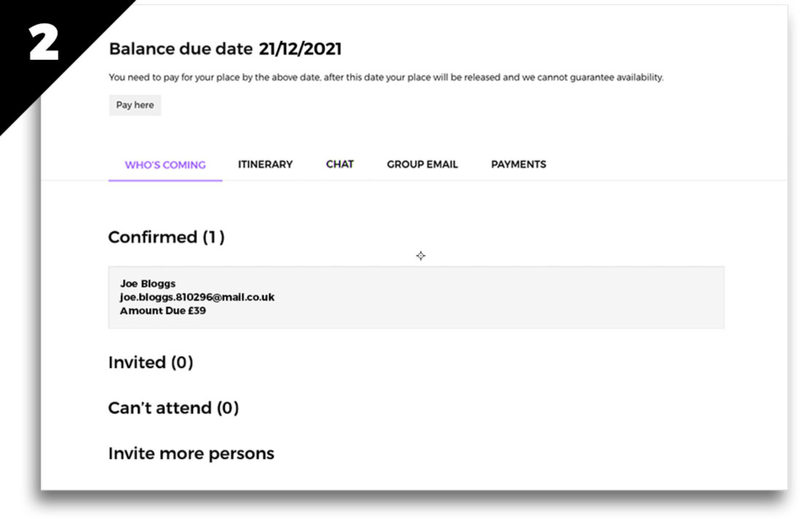 All your guests can be sent the event invite at the click of a button, which will include all the details they need to confirm attendance and make payment direct to us. Phew....­hassle free event organising! This page allows you and all your guests 24 hour access to every detail of your event, so theres no reason for anyone to be late or turn up at the wrong venue! It's all in the name... with the added benefit of a link to Facebook (if you want it), the entire group can discuss privately your event. Whether its sharing those extra special details to make sure everyone is fully prepared or just generally getting the group into the party spirit! 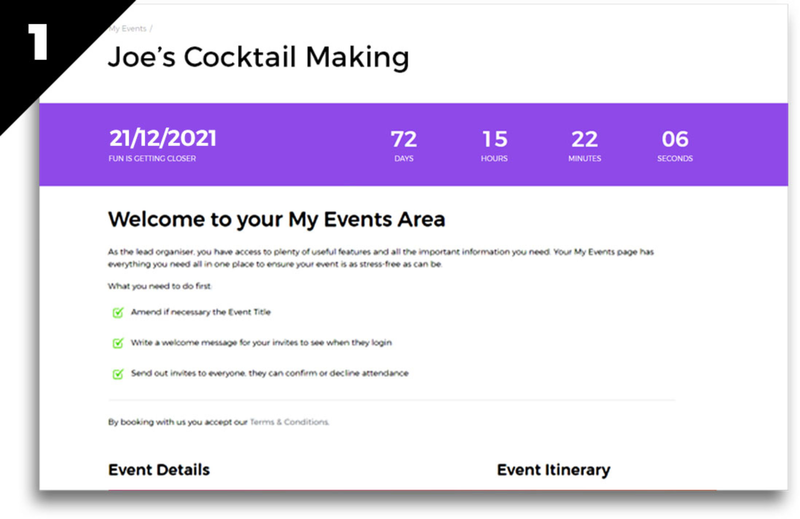 As the event organiser this page takes the hassle out of collecting money and having the difficult conversations about non payment, as well as allowing you to track guest activity. 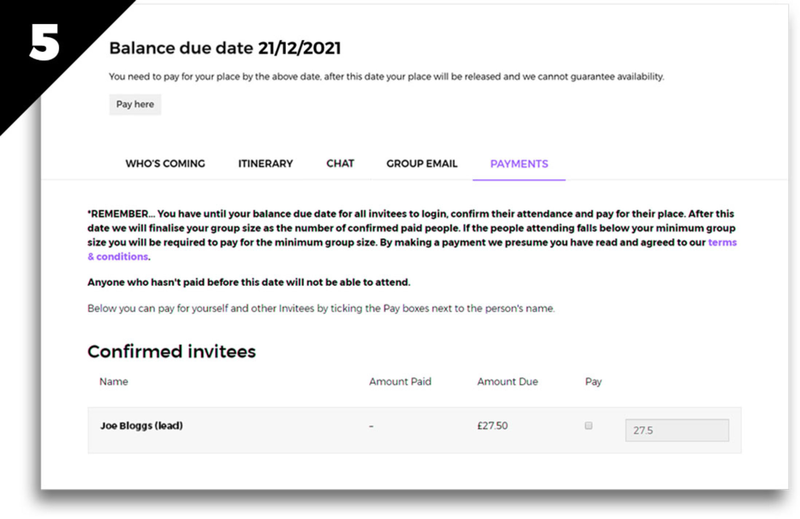 Your guests receive payment reminders directly and when they are ready to pay can log on anytime and pay their individual balance by debit or credit card.They also have the ability to pay for each other when logging on.